For hungry harpists and their friends! Have you even wanted to know what Judy Loman likes to cook in her spare time? Well now you can! The Young Artist’s Harp Seminar Cookbook is full of over 120 recipes from YAHS faculty, guest artists, alumni, and friends. From salads to cakes, discover what you favorite harpists are preparing in their kitchens! 100% of proceeds (minus shipping) from the Young Artist’s Harp Seminar Cookbook go to the YAHS scholarship fund. 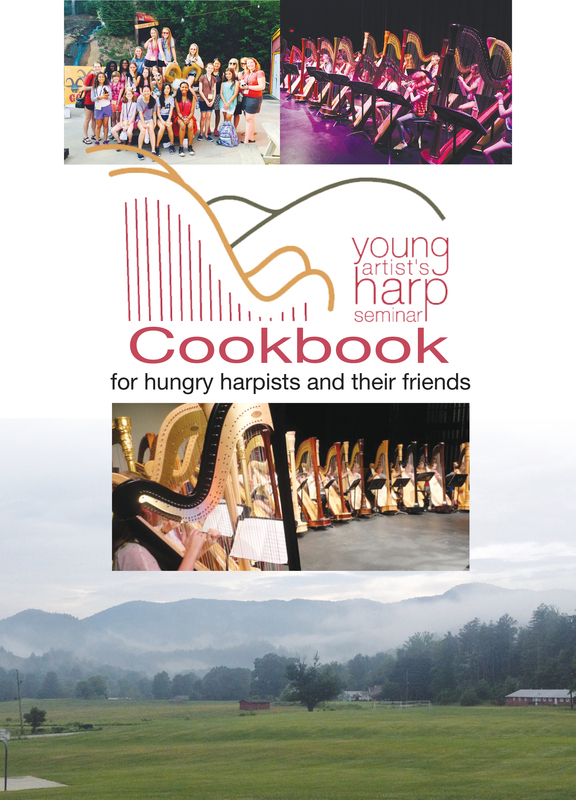 When you buy a cookbook you are supporting young harpists attend a future YAHS program.